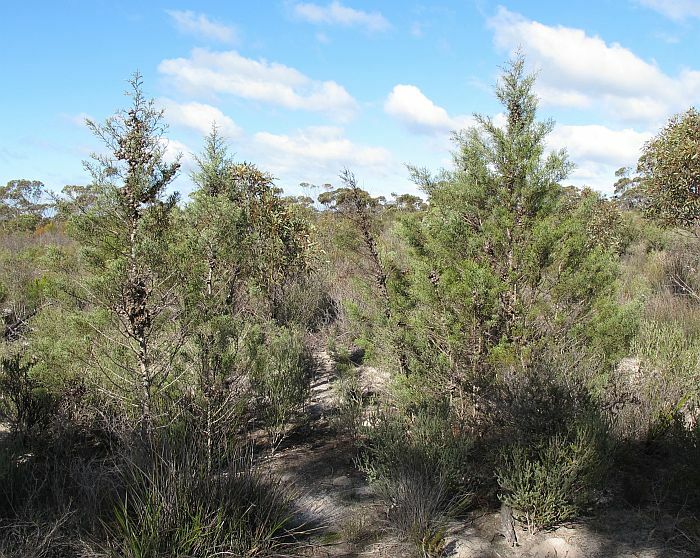 Australia is not normally considered when conifers are being discussed, as environmental conditions here are so unlike the cooler, moist habitats of the Northern Hemisphere. 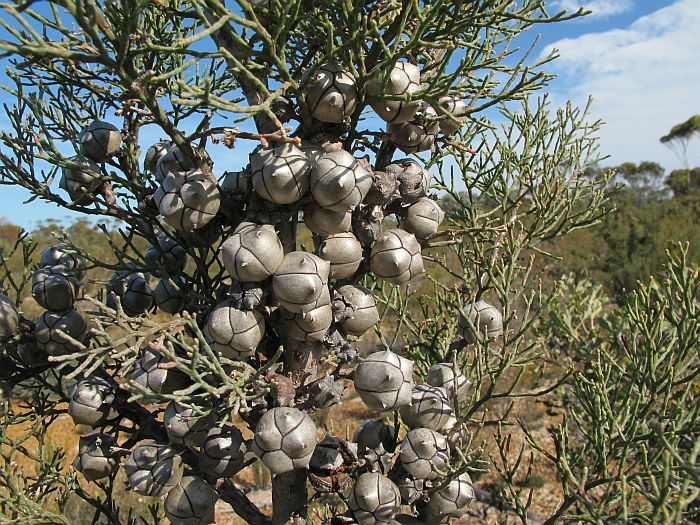 Yet we have a diverse selection of these plants ranging from Cycads to Pine Trees, which collectively are known as Gymnosperms. 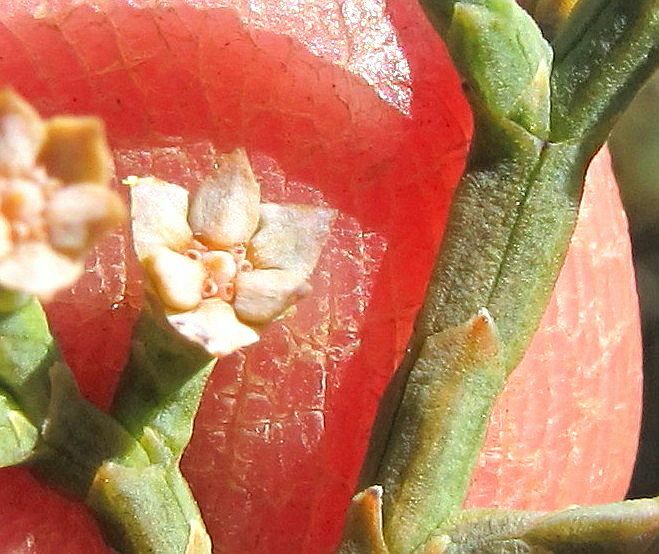 These shrubs and trees like flowering plants also produce seed, but whereas seed from flowers are contained within an ovary-like structure formed by the carpel, Gymnosperm seed are formed within a cone. 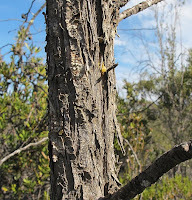 There are a number of Australian Gymnosperm family members, with Callitris belonging to Cupressaceae. In Western Australia there are 10 Callitris species, of which 5 can be encountered in a variety of habitats within the Esperance region and distributed from the coast to the inland mallee region. The main distinguishing features of these plants are the shape and arrangement of the foliage and female cones. Callitris roei is found from the NE of Perth to Israelite Bay and around the coast to Albany, an area largely explored between 1829 and 1848 by John Septimus Roe, the first Surveyor-General of Western Australia, after which this conifer is named. Around Esperance this species mainly occurs on level ground within the mallee region, particularly where sandy loams overlie clay or gravel. 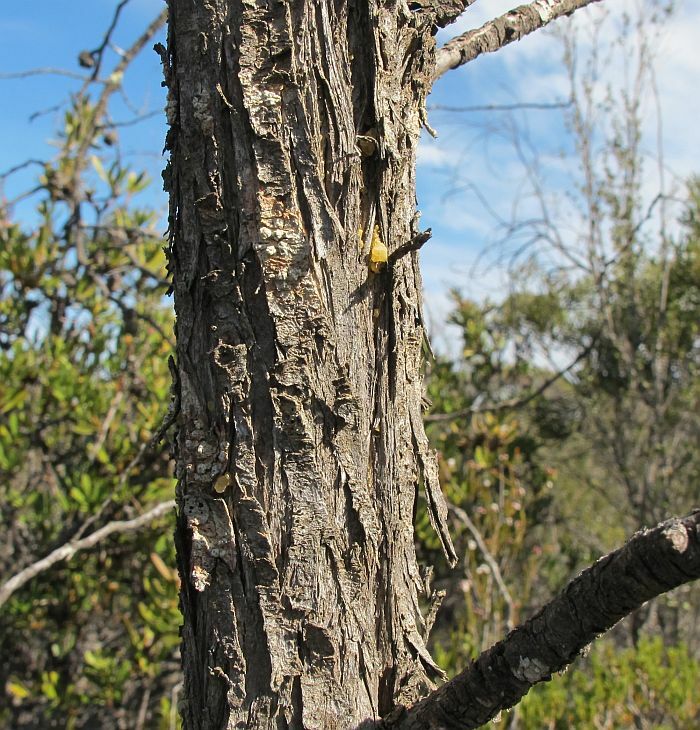 Roe's Cypress Pine can grow to 5 metres (16’) in height, but locally is mostly half that size. It seems to like warm weather coupled with a moist well-drained soil, which if found will stimulate a larger and bushier tree, but in the dry mallee, trees are often spindly and more stunted. 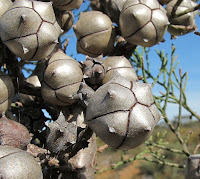 The attractive foliage is commonly blue/green (glaucous) and the 2 cm (3/4”) diameter cones, bright silvery brown. 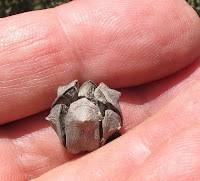 This species is distinguished from others by having a smooth cone, with a single dorsal point on each cone valve, plus three leaves that encircle the branchlets to produce a triangle in cross section with acute edges. 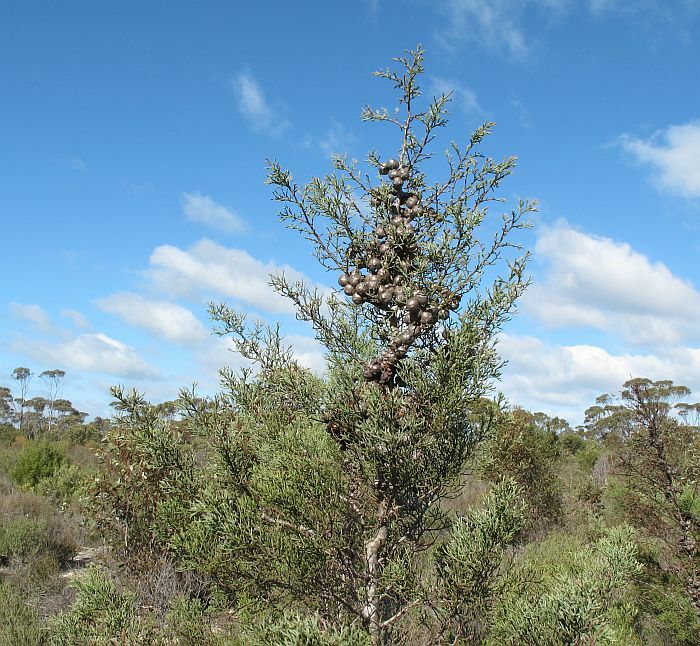 The only similar looking conifer in the Esperance region is Callitris drummondii, which does not have any dorsal points (the cone valves being smooth all over), plus is more a bushy small tree or shrub, with greener foliage and darker coloured cones. 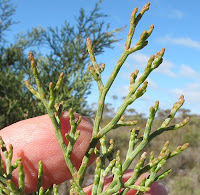 Above is a photo of the tiny male cone that forms on most branchlet tips. 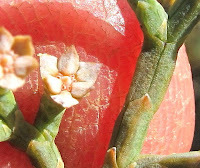 Pollen sacks (microsporangia) can be seen at the base of the cone scales, the pollen from which is carried by the wind to hopefully intersect and fertilise tiny female cones, which are both produced on the same plant. 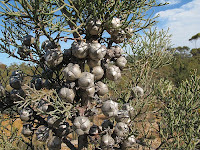 The mature seed is only released after a bushfire, or if the tree or any part thereof that dies.